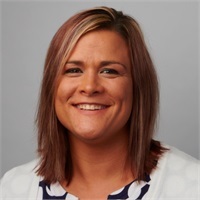 Melissa Cornwall | The Retirement Coaches | JBL Financial Services, Inc.
Melissa Cornwall, fondly referred to as Missy, has 10 years of professional experience as a Client Services Manager at financial institutions. Melissa assists in all aspects of servicing clients, primarily in account creation and daily maintenance. Melissa serves as the liaison between Jeff and Erin and the clients completing client transactions, transfers, and withdrawals.